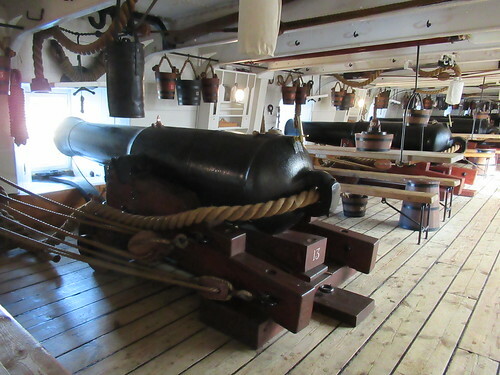 HMS Warrior 1860, Britain’s first iron-hulled, armoured battleship. "HMS Warrior was rescued in the 1980’s, restored and brought back home to Portsmouth and is owned by Warrior Preservation Trust, an independent charity. Saturday, 20th October 2018, Portsmouth, Hampshire.